"Recognizing our responsibilities as industrialists, we will devote ourselves to the progress and development of society and the well-being of people through our business activities, thereby enhancing the quality of life throughout the world." Panasonic Corporation's Basic Management Objective, formulated in 1929 by the company's founder, Konosuke Matsushita. We will conduct ourselves at all times in accordance with the Basic Management Objective, faithfully fulfilling our responsibilities as industrialists to the communities in which we operate. We will be fair and honest in all our business dealings and personal conduct. No matter how talented and knowledgeable we may be, without personal integrity, we can neither earn the respect of others, nor enhance our own self-respect. We will pool our abilities to accomplish our shared goals. No matter how talented we are as individuals, without cooperation and team spirit we will be a company in name only. We will strive constantly to improve our ability to contribute to society through our business activities. Only through this untiring effort can we fulfill our Basic Management Objective and help to realize lasting peace and prosperity. We will always be cordial and modest, respecting the rights and needs of others in order to strengthen healthy social relationships and improve the quality of life in our communities. We will act out of a sense of gratitude for all the benefits we have received, confident that this attitude will be a source of unbounded joy and vitality, enabling us to overcome any obstacles we encounter. Panasonic starts with a desire to create things of value. As hard work and dedication results in one innovative product after another, the fledgling company takes its first steps towards becoming the electronics giant of today. 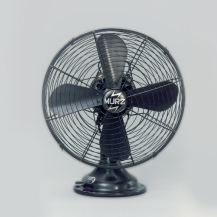 First electric Fan with Automatic Oscillation (36 cm table top model). First room air conditioner launched for domestic installation. 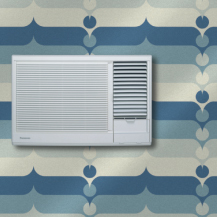 Prior to this date, air conditioners were large and only for commercial use. 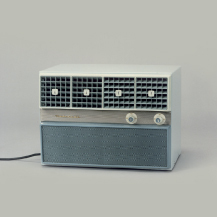 Panasonic developed the first compact air conditioner for windows; it was lightweight and easy to install, improving the quality of life in Japanese homes. 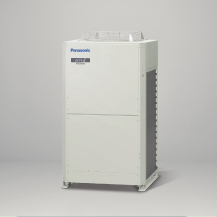 Panasonic launches the first highly efficient air-to-water heat pump in Japan. 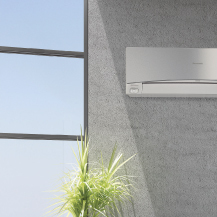 Panasonic becomes the first Japanese air conditioner manufacturer in Europe. The Ion and Oxygen Generator - two of the most important contributions to air conditioning systems. 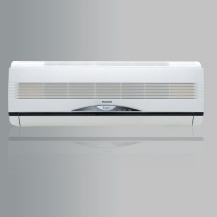 Etherea new concept of air conditioning systems: high efficiency and high performances with a great design. Etherea also includes a very innovative air quality sensor and air purifier in order to enjoy healthy air at home at all times. 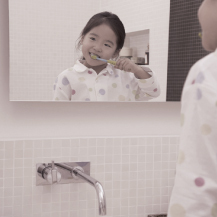 Panasonic has created Aquarea, an innovative new, low-energy system, designed to help you enjoy ideal temperatures and hot water in your home, even with extreme outdoor temperatures. 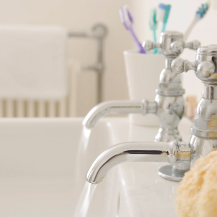 Aquarea cools or heats to ensure maximum comfort. Aquarea is far cleaner, safer, cheaper and environmentally friendly than alternatives using gas, oil and other electrical systems. The new Panasonic VRF solution for big buildings is the most efficient in the industry in more than 74% of combinations. ECO i satisfies the most demanding standards required by design offices, architects, owners and installers. New GHP units. 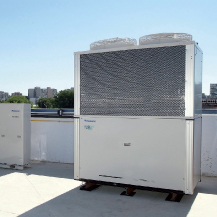 Pansonic's gas-driven VRF systems are ideal for projects where power restrictions apply. 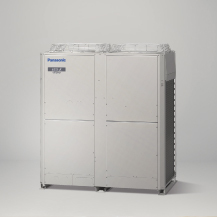 In 2012, Panasonic extends the Gas Heat Pump range with a new GHP line-up, new GHP G Power (electricity production) and the new Chiller Units. New ECOi 3-pipes. The best efficiency for your building. Our New 6 Series 3-pipes is achieving a COP of 4.77 at full load, and even more when recovering heat from the building. There is no doubt, Panasonic is reducing environmental impact!